Me and my buddy Juwan had this trip planned for a few days so we went on a bait mission and snagged a few cownose rays. Once we had some fresh bait, we headed to the spot. We'd been getting bites super far out, so I ran the 14/0 and duel 700+ yds each, which almost dumped the 14/0. We put the whole ray on the duel and center piece of another cownose on the 14. The first reel got hit 2hrs into the trip and the 14/0 went off like a freight train. It turned out to be a a small spinner shark. At the right time of the year the cownose rays are everywhere and make a hell of a shark bait. Our buddys Avet 80w kept getting played with, what ever it was it wouldn't commit. I ended up reeling it back in halfway and then checked it after a while. It looked like there had been a tiger playing with it because the cownose ray had big bite marks all over it. I changed out the old ray and put a fresh southern ray out. The Avet 80 w didn't get touched the rest of the night, but the 14/0 got picked up and after a 15 minute fight we ended up with a 6'6'' Bull. Right after the Bull, my Duel started singing! I ran to the rod and set into the fish, it felt hefty but my Duel is a workhorse so I whopped her and 10 minutes later I beached a 9' female tiger. Overall it was not a bad night! We hope this article got you pumped to get out on the water. 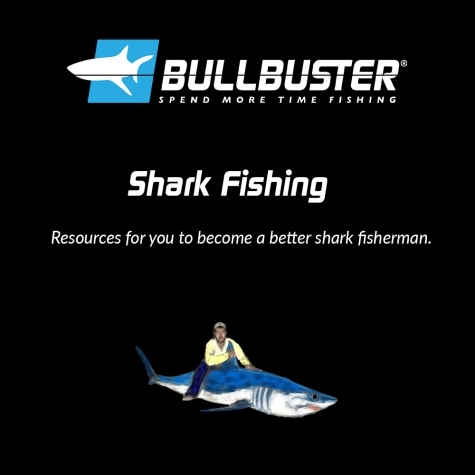 It's our mission to help you spend more time fishing. Get a hold of our brand direct fishing lines to join a movement.